Today we are all seeing and playing with the interactive Google Doodle which is getting displayed for the 100th Birthday of Computer Scientist Alan Turing. This Doodle looks suitable for Technical people, but everyone is liking this Doodle and "Alan Turing" and "Google Doodle" were the Trending Topics today in Twitter worldwide. Because, Google has made this Doodle so that everyone can easily solve this Doodle by trail-and-error approach even if they are not knowing what is happening. So, it became very famous. If you have missed to play this Doodle, you can still do it from this page. You can watch the below video to know about Alan Turing and about the Doodle. And, you might have noticed animal (Rabbit) symbol once after solving the Code for the word "Google". If we click on the animal symbol, the Doodle is showing the screen as shown in the below video. It is not clear what actually it is doing. Some blog posts are saying that they are solving the Fibonacci series. If you know more details about it, you can share the details thro' the comments section. You can read of Quotes of Alan Turing from our Quotes Website. This Doodle will be available on Google Homepage for One day only. If you want to play with this Doodle at any time, you need to visit this page. Few Days back I had uploaded a video to my YouTube Channel. This video was taken few years back at Battery Park, New York. It shows the Kids enjoying the Water. I uploaded this video in YouTube after adding few Quotes about Happiness, for promoting our Motivational Quotes Site "TheQuotes.Net". Watch below this interesting video. I believe everyone will like this video. So, you can share this video to your Facebook friends, and you may add it in your Facebook page to get more Likes for your page. If you have your own blog or website, you can embed this video in your blog to bring more visitors to your blog. Use below embed code or you can get it from YouTube page for adding this video in your blog post. Let me (rajamanickam.a@gmail.com) know if you need any assistance for embedding this video in your blog post. Embedding this Video will give below benefits to you. 1. This video is having potential to become viral video, as many people will like this video. (e.g Refer this post in our Facebook Page). So, embedding this video will attract the visitors to share/promote your web page / blog post too. 2. I have enabled public Statistics in YouTube for this video. So, YouTube will show the URL of the web pages where this video is embedded. So, your blog will be getting more visitors from YouTube page once this video start attracting many people. 3. In this blog post, I am going to list the URL of web pages where this video is embedded. It will help you to get "DoFollow" Inbound Link (Back link) from our blog so that your blog get some SEO benefit. Send me (rajamanickam.a@gmail.com) your web page/blog post URL once after embedding this video. I will add your URL in the below list. (It is Subject to Quality of your Blog/website). List of Web Pages Embedding this Video. Note that I will be adding the URL at bottom of the list. So, if you send your URL quickly, then your link will be getting more exposure. And, note that this kind of video can be embedded in any type of blog or website irrespective of niche or language of your blog or website. So, just embed this video in your blog and send me your blog post URL for adding it here. And, I am eagerly waiting to know what kind of Innovative and creative Title you are going to give for your blog post while embedding this video. Today we are launching "Resume Posting Service" at AutoResumePost.Com. This Resume Posting Service will allow the US Job Seekers to submit their resume to 50 Major U. S Job sites (Including CareerBuilder, Beyond, Dice, Indeed, Monster, Net-Temps ) easily at affordable price. They need to just enter their resume details in AutoResumePost.Com and their Resume will be posted to the 50 U.S job sites within 2 Business Days. And, they can get into all job sites easily from AutoResumePost.com. i-e They need NOT remember the URL, Username and Password of each and every job site. And, this service provides "Auto Login" option for many job sites. i-e Just clicking the "Auto Login" link will take the job seeker into the corresponding job site, without manually typing the URL, Username and Password. It will be very useful features. So, their resume will be getting lot of exposure and visibility, and therefore they can get their desired job quickly. For using this service the Job Seeker need not Spend more money. We set the price as $24USD only while other similar services charge more than $50 USD. As Introductory Offer and as part of promoting our Motivational Quotes Site TheQuotes.Net we are providing a Discount Offer for using this Service for few days. You need to use the promotional code TheQuotes.Net to get the Discount. i-e Once after entering your resume details you will be shown a screen where you can enter promotion code (i-e TheQuotes.Net) to get discount. The code TheQuotes.Net will give HUGE discount. Use this code and you will be surprised to see the Huge discount. The city , state and Zipcode should be appropriate, else the resume will not be accepted in many sites. Password should be minimum 8 characters long. We use our own Software for posting the Resume details to Job Sites Accurately. Anyway, we plan to check the resume submission manually also to make sure that resume details are posted correctly. And, we have limited number of manual resources only. So, We may stop accepting the Promotion Code if we get lot of orders at a time. And, if you are having a Job Site and willing to start your own Resume submission service, refer my previous post to know more details for buying the Script used for starting this Resume Posting Service. The mail() function allows us to directly send email from php script. This function allows sending header information as parameter. This feature can be used for attaching files with the email sent from mail() function. The below function mail_attachment can be used for sending email with file attachment. This function can be called as below. Freshers Job opening - We are looking for "SEO Trainees"
We are looking for Freshers to join our Team as "SEO Trainees". *Willing to work hard for learning new technologies. People living around Ottapidaram (Tuticorin District) can directly attend interview in our Ottapidaram Office. If you are interested, Send your resume to qualitypointmail@gmail.com with Subject "SEOJUNE12" or you can contact us for scheduling interview. NOTE:This is NOT a walk-in interview. Come for interview only if you are shortlisted for interview. Tamil Nadu SSLC (10th Standard) 2012 Exam Results declared. Srinath from Thanjavur got State First Rank with 497 Marks. Click Here to Read about SSLC 2014 Results. The directorate of government examinations (DGE) has declared the SSLC exam results for the year 2012 today (Monday, June 4th, 2012). Around 11.5 lakh students had registered for the SSLC (10th standard) exam this year. Srinath from P.R Public Hr. Sec. School, Tanjavur got State first Rank by scoring 497 Marks out of 500 Marks. The S.S.L.C Exam results will be available online in the below websites. For seeing the Results in www.tnresults.nic.in , the students have to enter their Date of Birth in (dd/mm/yyyy) format apart from entering their Registration No. And, they need to choose any one of four options (SSLC, Matriculation, Angelo-Indian, OSLC) in the "Examination" drop-down box. And, students can get the result by making call to the phone number 5558833. This year exam is very unique as it is the first time where students of all four boards (TN state board, Matriculation, Anglo-Indian and Oriental) wrote the exam based on the common school syllabus. Usually 10th class exam results will be declared in the end of May month. But this year (2012) it was delayed as the SSLC exams were postponed because of the delay in starting the SSLC classes due to the Court battle over the common school syllabus (samacheer kalvi). 100 Marks in Tamil - 3 Students. 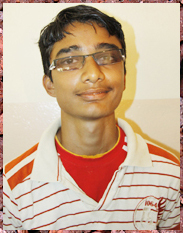 The State first Rank Student Srininath is willing to become a Scientist. His father Prakash is working as Deputy Manager at State Bank of India, Melur. And, his mother Vijayalakshmi is a House wife. Note:This post will be updated with more details soon. So, bookmark this page to visit it again in few hours.